Shore crabs are found throughout the estuary. The Quayside in Kingsbridge is an excellent place for a spot of crabbing. All you need is a half-filled bucket with seawater, hookfree crab line, a catching net and some bait - crabs seem to love raw bacon. Lower your line into the water until it reaches the bottom. Once a crab takes the bait, slowly bring up your line and use the net to transfer it to the bucket remembering to keep your fingers away from the pincers. Don't overcrowd your bucket - you can always catch them again! 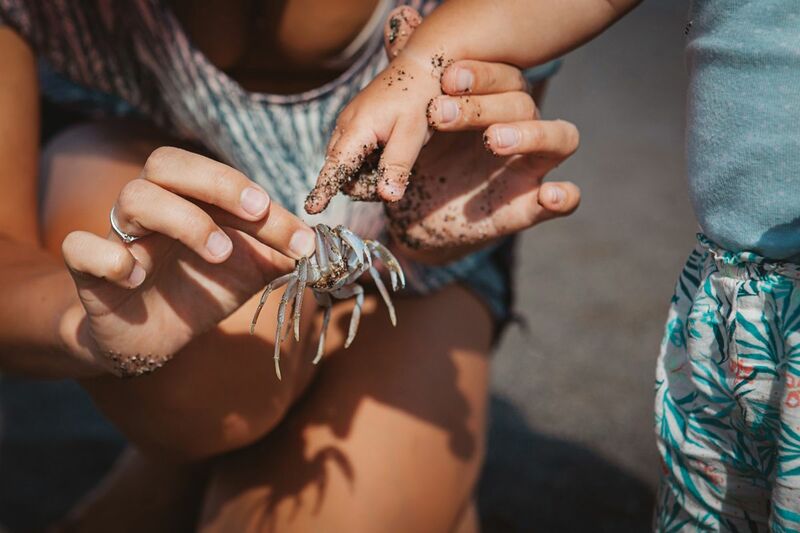 Crabs need oxygen from the water - make sure you replenish the water often, especially in warm weather. If crabs start to fight, tip them back - sometimes placing some seaweed in the bucket seems to calm them. Handle them carefully - they can nip in self-defence! Gently lower the bucket into the water to let them go. Crabs feed in a variety of ways: scavenging, crushing molluscs, sifting through the mud and snatching food from the water. HOW DO I START CRABBING? The best time to go crabbing is when the tide is coming back in. 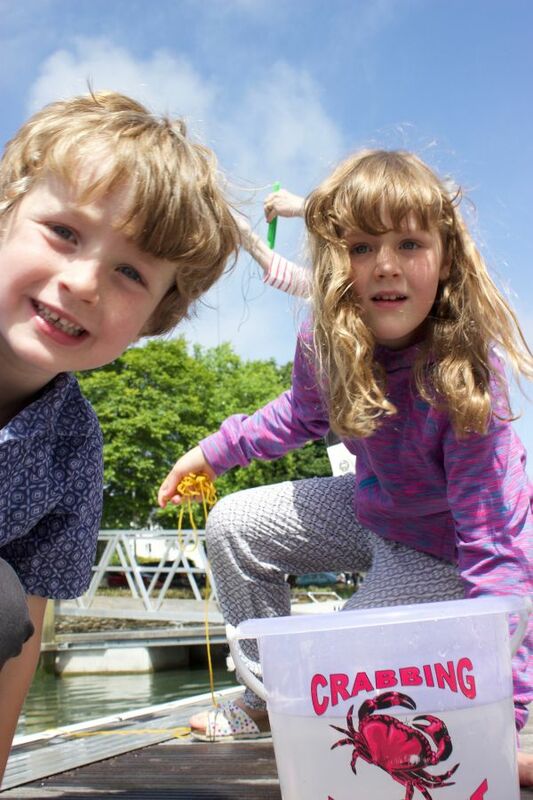 You can buy your bucket, line and some bait from the Kingsbridge Information Centre. Keep refilling your bucket regularly. Do not overcrowd them and do not use hooks!